Government spokesman Benjamin Griveaux, who was evacuated from his ministry in central Paris when a handful of protesters in high-visibility vests smashed down the large wooden door to the ministry compound, denounced the break-in as an "unacceptable attack on the Republic". 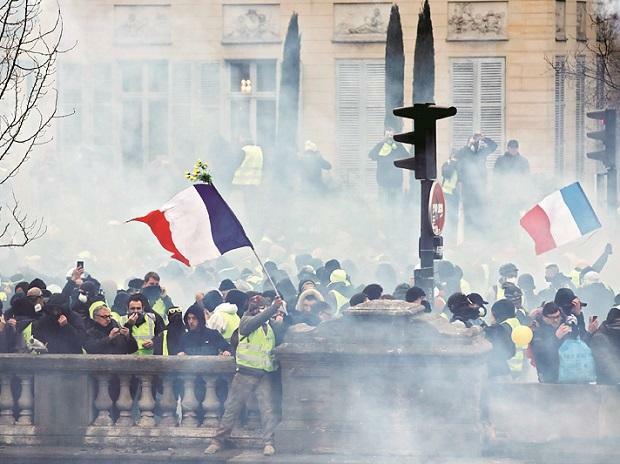 "Some yellow vest protesters and other people dressed in black ... got hold of a construction vehicle which was in the street nearby and smashed open the entrance gate to the ministry," he told AFP. President Emmanuel Macron did not specifically refer to the incident, but tweeted his condemnation of the "extreme violence" against "the Republic, its guardians, its representatives and its symbols". 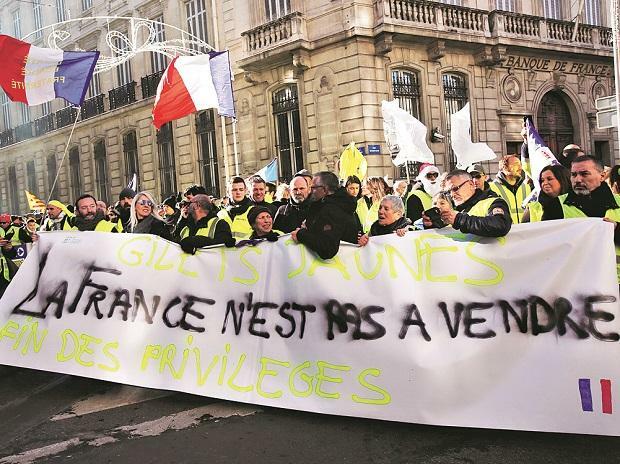 Griveaux had on Friday criticised the yellow vest movement, describing those still involved as "agitators" who were seeking "to overthrow the government". Police said some 3,500 demonstrators turned up on the Champs-Elysees on Saturday morning. Some then made their way south of the river to the wealthy area around Boulevard St Germain, where they set light to a car and several motorbikes and set up burning barricades, prompting police to fire tear gas to try and disperse them. Police said 35 people were arrested. Some 4,600 protesters hit the streets of the southwestern city of Bordeaux, with some hurling stones at police who answered with tear gas and water cannon. Five police were hurt and 11 people arrested, local authorities said, adding that several cars were torched and shop windows broken. The yellow vest movement began in rural France over plans to increase fuel taxes. But it later ballooned into a wider revolt against Macron's pro-market policies and governing style, with 282,000 people joining the first Saturday rally on November 17. The protests have turned into the biggest political crisis of Macron's 20-month presidency and brought his popularity ratings to an all-time low. "It should be given instead to people in need.